I like classic when it comes to my bags. I realized how I use the same bag over and over, regardless of my outfit, as long as it is in black and in basic shape. The past days though, I was looking for an alternate for my black Longchamp Le Pliage, and thought of getting a brown tote. 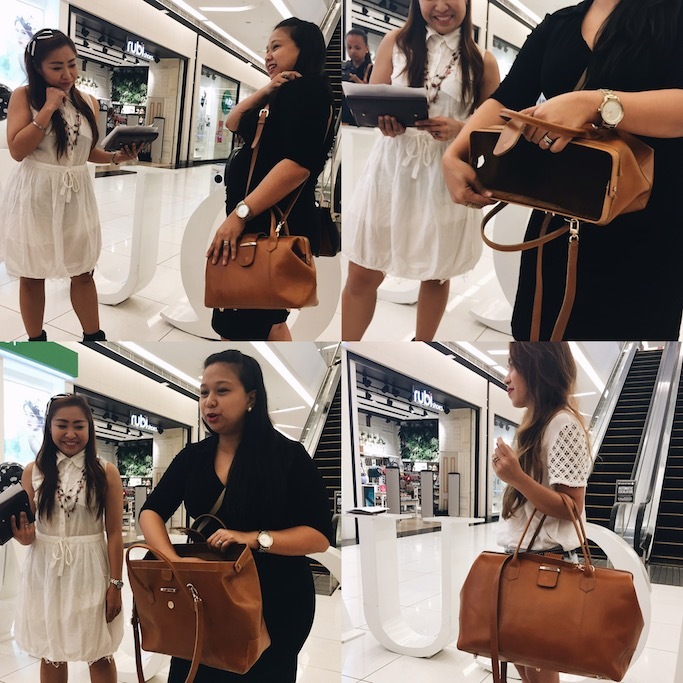 I think the universe heard me when I got invited to Ni QUA's auction launch at the Century Mall, Makati. Nice to finally meet you, NiQua! To celebrate their 2nd birthday, NiQua arranged an auction event where their new designs can be bought for as low as 30% off its SRP. Pick your poison: I am attracted to all things black! Can't choose which shape I love the most. They had mine personalized, I love these. Putting up a "fight", haha! 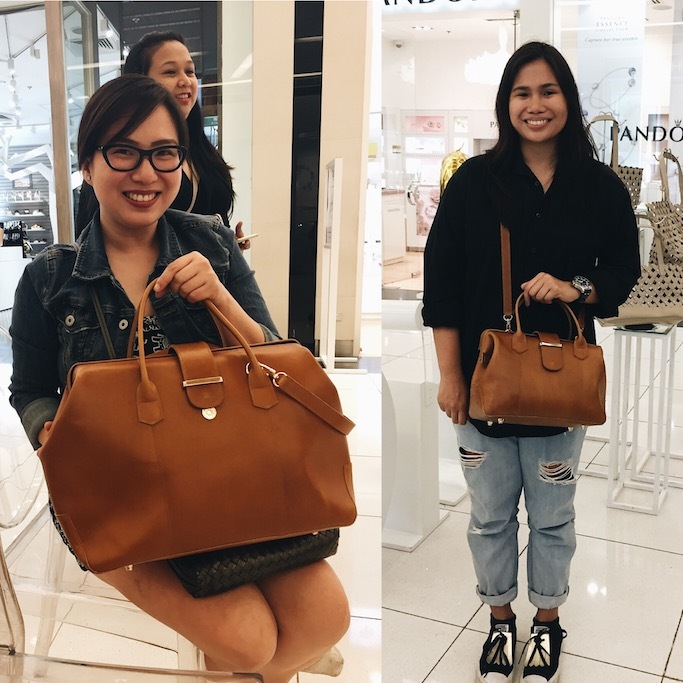 Everyone went home with a new NiQua leather bag! Super happpy!!! Can't wait to use my small Telaio bag for my Korea trip tomorrow! I tried using it na a few days ago for my events, and to me it is perfect. Let's shop for new leather bags here: http://www.ni-qua.com/, and follow @niquashop on Instagram and FACEBOOK. I'm sure I'm getting another one soon! Haha, thank you for having me! So what's in your NiQua wishlist? Hi Ana! How much does the bags cost? I like leather bags. Thanks for sharing such a useful post.